This position in our London office represents an opportunity to join a small, dynamic, agile team of experienced Software Engineers with a strong understanding of the existing architecture and some very talented junior engineers working on developing new components and features as well as maintaining and improving the current IRN (Internal Research Notes) solution and code base and building our next generation RMS (Research Management Solutions) platform. Working within a framework of two-week sprints, with a comprehensive automated testing pipeline & continuous deployment, you’ll share the responsibility of ensuring all code is clear, robust, well documented, unit tested & thoroughly peer-reviewed. Code quality here is far from a box-ticking exercise: engineers take initiative in proposing and implementing improvements to standards, processes, tools & systems. Designing, implementing, testing, documenting, maintaining and enhancing code as necessary are all part of the responsibilities of this agile full life-cycle role which will give you the opportunity to work closely with Product Developers and QA Engineers in an iterative process. 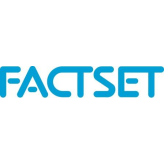 You will be in charge of setting milestones and monitoring the progress and evolution of projects and will get the opportunity to gain a solid understanding of our customers’ needs and the overall range of services that FactSet offers. The IRN team provides research management software for thousands of users in the financial services industry. Our clients include some of the world's largest banks, institutional investors and funds. The team’s flagship product, Internal Research Notes, a Research Management Solution, acts as a portfolio manager and analyst workstation through which our clients can create, store, share and search through financial research. More information can be found at factset.com/analytics/research_management. We remain on the cutting edge by continually developing and refining our software. Our tools enable clients to perform investment research at the most sophisticated level. In addition to an excellent working environment which has been voted one of the UK’s Best Places to Work for the last 10 years in a row; we offer opportunities for professional development, career advancement in a structured environment that offers staff the chance to express themselves. The IRN engineering team consists of highly motivated and skilled individuals who thrive with the challenges they are confronted with. Shared responsibility is key to the team and every member of the team is involved in every step of the software development life cycle and shares the responsibility of delivering releases on time and with the highest quality. To join the team is a unique opportunity to gain as well as practice a large range of technical skills making every day challenging and rewarding. We are now looking for a strong addition to the team who will join us in our effort to lift the product’s success to an even higher level.